Toyota Industrial Equipment introduced several new products to its customers and dealers this month including a new Reach Truck, a new 80-Volt Electric and a High-Capacity IC forklift. Orders begin now with first customer shipments in early December. Proudly manufactured in the United States, Toyota Industrial Equipment offers a full line of material handling solutions including forklifts, automated guided vehicles, fleet management services and tow tractors. Toyota’s commitment to quality, reliability and customer satisfaction, the hallmark of the Toyota Production System, extends throughout more than 220 locations in North America. 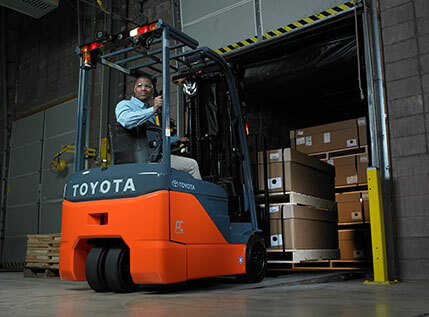 For more information, visit www.toyotaforklift.com.